I have noticed a lot lately that people are wearing denim in more ways than just jean pants. Denim rompers, jumpsuits, skirts, and even dresses are becoming very popular in the fashion world. 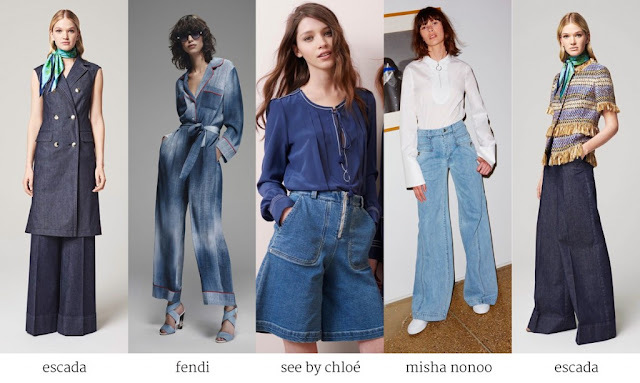 Even if you’re not sure if it is your style, I think if you find the perfect denim garment to fit in with what you already wear, anyone can successfully pull of the denim trend. If you are known to take a lot of fashion risks, then you might feel inclined to try the bold “denim-on-denim” look. To do this, you would wear denim jeans and a denim top as well. To avoid looking like a mess, though, your denim washes should not match each other. I saw on Forbes that you should try to combine a lighter wash with a darker wash to create contrast and stay away from being too matchy. When you see other people do it, you can see that it’s really not too hard to make it look normal. It helps to have inspiration photos to pull from. Another way to wear the denim trend is to do it in a one-piece. If you aren’t confident in your matching abilities, you can try a romper or a dress. Something like a shirt dress, as seen on Lyst, would be great in this situation. A denim shirt dress is casual and takes the pressure off of having to style it too much. You can wear cool boots with it, or try pretty ballerina sandals to make it more feminine. One last idea to pulling off denim is to just try wearing one jean item to ease yourself into it. Of course, it is pretty normal to wear jeans with a non-denim top, so you’ll have it mix it up a little. Something I noticed is that jean skirts are making a comeback, and they are actually really cute! NY Mag wrote about the many ways you can make a denim skirt “look cool,” so it’s a good idea to start scrolling through some of the pictures. A common theme in modern jean skirts is a high waist. Wearing the denim trend can be really easy if you just take a look at some inspiration and follow your gut! I don’t think you should wear something you’re not comfortable in, but don’t be afraid to try something new. It can be fun! I love denim items because they are such easy matches. However, the weather nowadays is just too warm for denim! Thanks Eve for your love hehe! You are right as well =D Be more comfy as you like babe! Denim Skirts looks simple and comfortable. I love to wear it too and thanks for the tips on how I should pair with it. huge fan of denim, thanks for the idea! they all looks cool and classy! You are welcome dear hehe! love denim, simple yet stylish. thanks for recommending ways to wear it! Denim last very long, which is why I love it :) I'm not very good in fashion so I always opts for one piece. Yup, I like to wear denim, its so versatile and comfortable. It is it looks great on everyone who wear it! Love denims. They are cool, comfy and make an impact. i love denim but i need lose weight as cannot fit in. now I am plus size. Love denim so much. I am not a person who dress up for trend but somehow, I feel very comfortable using it. Denim is the comfy wear ever hehe! It was the latest denim trend =D haha Just be yourself! 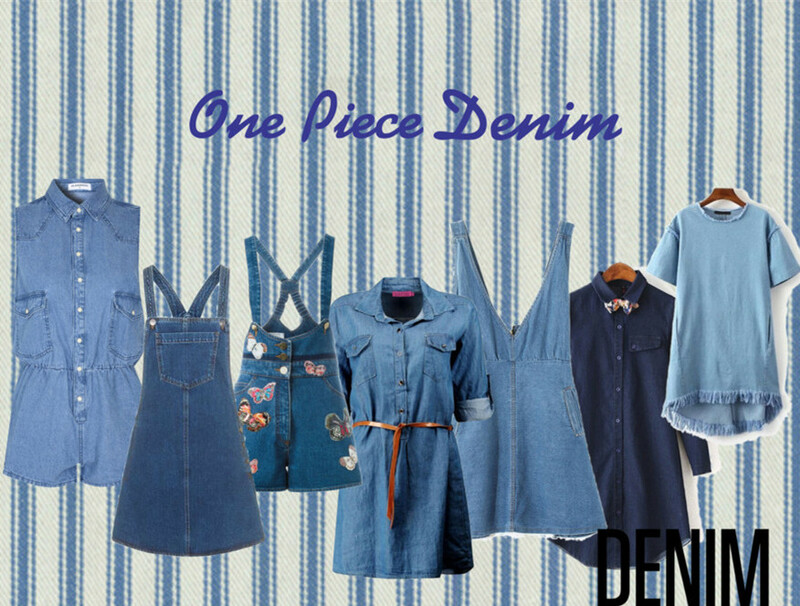 Denim is something which is evergreen and most comfy one in any form. don't have much denim in my wardrobe yet. i think they look good tho, but hope it can be thinner for our weather. It definitely looks good =D You can try to go for thinner material of denim as well! Wow! I like these denim outfit! So cool! which reminds me.. i got to go get myself some denim jeans soon. wearing mine out.